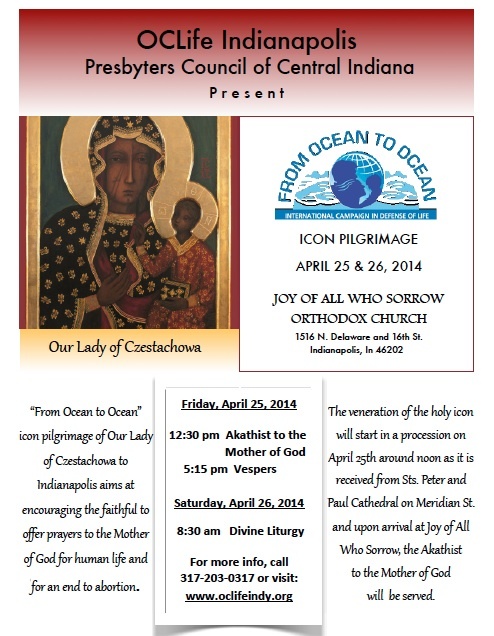 Only two weeks to go…we hope you could join us in receiving the Mother of God in the procession from Sts. Peter and Paul Cathedral on Meridian and 14th Sts. Photini… I hope this poster went with your mailing to the churches. I really couldn’t tell from the email you sent April 7th saying “your final mailing” because the poster was not attached to it.